First off, the founder of Cabbage Patch Kids is Xavier Roberts and no joke, there is a child at my son's day care with the exact same name. I laughed when I saw his name up on the cubby and I truly think that I am one of the only people my age (and a former Cabbage Patch doll collector) with the insane memory to know that fact. Do you remember the names of your Cabbage Patch dolls? I remember mine had really weird names like: Miles Malcolm or Carol Knight ...who came up with these names? I would inevitably end up renaming mine with some cool 80's name like Tiffany or Kelli. The Cabbage Patch phenomenon spawned the Garbage Pail Kid phenomenon, which I was not allowed to partake in because my mother found the Garbage Pail Kids disgusting (not that I blame her). My husband has an entire scrapbook of Garbage Pail Kids and I recently enjoyed looking through all of the cards -- and yes, they are completely disgusting. Second, I am wearing cabbage today. In.my.bra. Yes, you read that correctly. And, no, I am not pulling a vegetarian Lady Gaga stunt. I am trying to dry up my milk supply and apparently this is one way to do it. 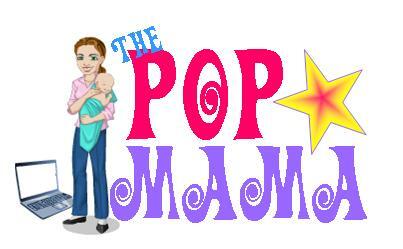 I am finished with breastfeeding and now I just have to relieve myself of the pesky problem of engorgement...fun stuff. I had never heard of this remedy until I was pregnant and listening to other mother's horror stories of birth and breastfeeding. Doing the research I learned that if you wear a cabbage compress, it is supposed to help with engorgement and decrease your milk supply. Cabbage compresses have been used since the 1800s to help with swelling for all sorts of things -- ankle sprains, broken bones, breast engorgement... http://www.lactationconsultant.info/cabbagecure.html. Apparently, the natural properties found in cabbage can help dilate local capillaries, which help promote blood flow and may allow the body to reabsorb trapped fluid in the breasts. I found many websites tout the benefits of using cabbage to help reduce breastfeeding related engorgement and assist in decreasing milk supply when weaning. http://www.kellymom.com/bf/concerns/mom/engorgement.html. Wow. Yes. This is not something "they" tell you. Makes me feel uncomfortable just thinking about it. I hope your body cooperates soon! 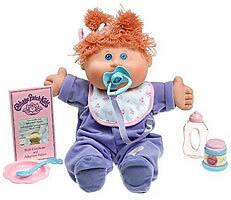 And my cabbage patch doll had red hair and green eyes, and its name was Francis. Weird.